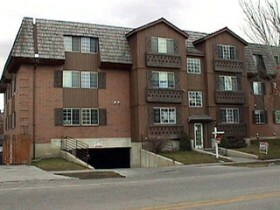 Devonshire Condominiums are located at 34 E 700 N Provo, UT 84604. 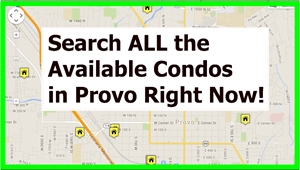 The Devonshire Condos – Provo Utah are typically BYU approved for Male and Female. Please contact BYU offcampus housing to verify current status. Devonshire Condos were built in 1985 and have 24 units. The Devonshire Condos feature underground parking. These condos have not typically been FHA approved. Most the condos at Devonshire are around 1100 square feet with 2 bedrooms and 2 bathrooms. These condos are located within walking distance to Brigham Young University. The Devonshire Condos sold for between $95k to $130k from 1996-2000. The prices increased from 2000-2005 from $137,500 – $169,900. The last sold condo in Devonshire Condos sold for $179,500 on 6/11/2012. The seller was asking $189,900. These condos have been steadily appreciating since they were built in 1985. If you own a Devonshire Condo and would like to get an updated CMA on the value contact Paul Teasdale. Team Teasdale Realty will prepare a 15 page color report for FREE. This CMA or Comparative Market Analysis will help you determine the current value of your condo. 1) How many Devonshire Condos similar to yours have sold for recently. 2) How long were these Devonshire Condos on the market before they sold. 3) How fast you can expect to sell your Devonshire Condo at your desired asking price. 4) What your “competition” would be should you decide to put your Devonshire Condos on the market right away. The real estate agent at Team Teasdale Realty will provide your CMA. Your CMA will be provided to you at no cost and without obligation. In fact, we can email you this free report.